Animated Videos has always been considered as one of the best marketing tools that can communicate with the mass. When the rising competitions are to be considered, the claim isn’t futile. 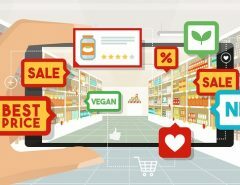 Motion graphics do make an engaging presence in the online platform, and therefore, knowing how you can turn animated videos into your marketing mojo for the year ahead, is the need of the hour. After all, proper site animations can improve the consumer experience, and then covert leads into customers. Why should you include animated video on your website? Animation makes the story of the brand more appealing to the viewers. Animated video breathes life to the simplistic graphics and then, doubling their impact on the visitors. Your website might be ‘OKAY’ without any kind of animated videos on it. But, if the trends of 2018 are to be considered, it’s high time that you introduce your products and services through animated explainer videos, because, get this straight, people do not have time for surfing through detailed and enlarged contents. There are numerous and tons of reasons as to why you should incorporate animated video in your website; and not only in the website but also a blog or any other kind of content that has the scope of speaking about your brand, with colorful and ‘moving’ graphics. 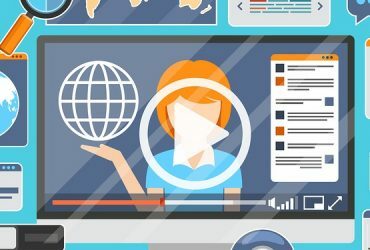 What can you expect from the animated explainer videos for your business in 2018? 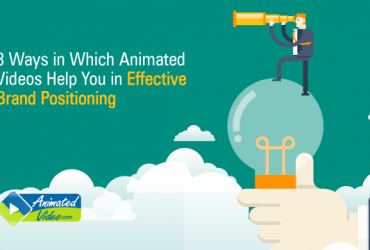 The animation trends on the corporate websites are generally influenced by a host of factors. The factors comprise of public perception, technology and also, usability. Animated Presentation. Sounds a bit informal, right? But, if experts are to be trusted in this case, then this complex, as well as the time-consuming graphics, will get the eyes of the visitors glued to it. So, in the year 2018, formality can be offered a back seat in your pursuit of engaging more people towards your product. So, switch the boring presentations of your products and services into interesting and smooth flowing animated movies and give your brand a stylish appeal. Just remember to keep it short in less than 5 minutes. In 2018, the brands, big and small will dress their logos up in moving typographic style. The perk of it? The brands will now be able to register themselves in people’s mind easily. Stop If you have been concentrating more on graphics than typography and lettering. 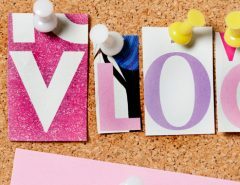 Form and incorporate moving letters into animation and use them to speak for your brand. The term Liquid Motion is extremely common with the graphic designers and animators. This is actually going to be a much more mainstream trend as the corporate sector will be incorporating it into the marketing. Styles like splashes, twists, abstract smears, swirled limbs, bends, drops & many others. The after effects of noise and grain are common with the graphic designers. In fact, many viewers, unknowingly, are fans of this style. The noise is used to set the right mood and helps in telling your story successfully and achieving the visual goals of marketing. Animate and spread the word about your brand, like a pro! Worry not! The aforementioned trends will not make you spend thousands and thousands of Dollars. Since this style of animation is going to be exploited by the mass (of the businessmen), then the idea of the concept of being expensive can be ruled out. Besides, for your aid, there will be hundreds of animation software that will help you to stay updated in style for 2018. These software is easy to use as well. 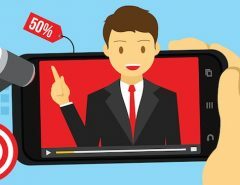 By this time you must have realized that incorporating animated videos or animated explainer videos in your marketing platform is crucial for not just being cool. Rather, it is another way to grasp on to the much needed improvised user experience and navigation for your site. Get professional help if you want to go for the incredible tool of business scalability through superb and professional corporate video services.